MamaBreak: A fun App . . . for dress up! Do your kids love dressing up? 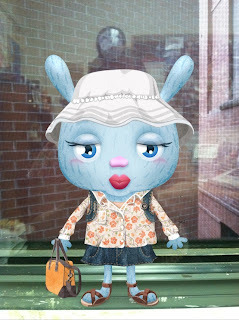 My daughter loves fashion, and really enjoyed this new app. In the app, you dress up a pet. There are a ton of designs to choose from, so there is plenty of fun! The best part is, you can take a picture and share your creation on Facebook, Twitter, or other image sharing sites . . . like MamaBreak. You can either have the pet in a variety of locations, or you can add them to a photo (as above). Please note that this product was completely free, and thus I received no compensation for reviewing this product. What a cute and fun app! I bet your daughter has a blast using this! Oh how fun! I love playing with different apps and I think it is great they are making more for children. Me and my small team thank you a lot for a positive feedback. We're glad that your kids liked it. In the beginning of November we're releasing a new dress-up game featuring a nice girl as a main character. Hope, you and your kids will like it as well.